Increasing demand for high-speed broadband Internet access, TV, telephone and wireless services is driving businesses to invest in or expand upon state-of-the-art fiber optic networks. Known in the industry as FTTx, municipalities, utilities, real estate developers, private companies, telecommunications/service providers and other businesses are looking for knowledgeable, reliable and experienced partners for end-to-end fiber network solutions. FTTx brings the quad-play signal from service provider to the subscriber, whether it is a residence or home (FTTH), a building (FTTB), a node (FTTN) or desk (FTTD). EPICENTRE GROUP is the only provider that offers a portfolio including PON, or active electronics, and end-to-end passive infrastructure. As technology leaders, EPICENTRE GROUP offers a complete portfolio of integrated test equipment for use in the field with its best-in-class NOYES® product line. Whether you’re installing fiber optic cable or testing a splice, choose EPICENTRE GROUP’s easy-to-use, application-specific NOYES fiber optic network testing equipment. The NOYES name is synonymous with exceptional quality and outstanding service for telecommunications and broadband companies, private networks and original equipment manufacturers (OEMs). Additionally, EPICENTRE GROUP is the first and only company that provides an optical fiber identifier (OFI) that automatically detects signal types on FTTH. This multi-layered product decodes optical signals and allows customers to reuse fiber and save millions of dollars. A rugged hand-held unit, the OFI can be used during installation, maintenance, rerouting or restoration to positively identify fibers prior to cutting and splicing. Across a neighborhood, campus or city, EPICENTRE GROUP makes FTTx easy. We offer a customized FTTx modeling tool that uses your input and our expertise to configure the solution that is right for your application. 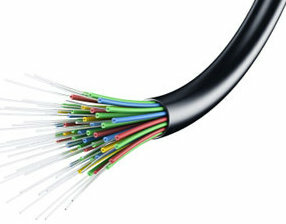 As the world migrates toward a fiber optic infrastructure, EPICENTRE GROUP is uniquely poised for the growth of FTTx markets. With an unsurpassed knowledge of end-to-end, cost-effective solutions for customers, select EPICENTRE GROUP to help you bring fiber the last mile—to your subscriber.